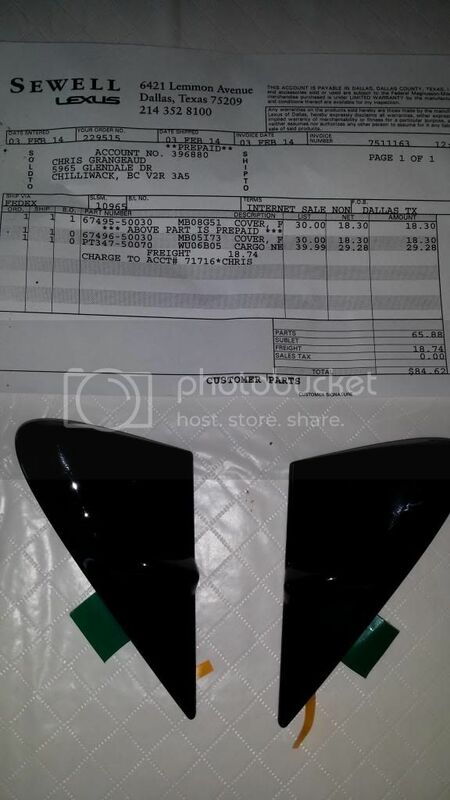 Based on info found here at CL, I went ahead and purchased the 2013 window trim panels with the updated design from Sewells, ($18.30 each with CL member discount). Here is my DIY of the project, which took about 30 mins in total. Here's the parts as they came from Sewells. The pieces are piano black and noticeably more stout and thicker than the old panels. They are also more rounded. First step was to remove the old panels. Easily done with just a screwdriver or whatever you like. This is what it'll look like after removal. As in this pic, there will likely be a lot of gasket material and the like to be removed. I used a windshield razor blade scraper to remove the bulk of the material, followed by lacquer thinner on a rag. This actually took the bulk of my time as I wanted to be absolutely certain that I had a clean and contaminant-free foundation for the new panels and their gaskets. I next applied a bead of silicone sealant to the gaps and holes around the mounting location as per JM McRaney's fix. So....does it work? Not sure, as I haven't had it on the freeway yet. Around town I never found much noise before the upgrade, but definitely did on the freeway. However, I have a feeling that my noise is more due to the non laminated windows in my '08. I will post my results when I get to hwy speeds in the next day or two. I will say that it LOOKS great! LOL! Funny thing is, right after I took that pic and checked it for exposure etc, I realized how badly rusted it was and immediately swapped out the blade. I considered taking another pic, but thought, "nah"... nobody will notice. complacency will get you nowhere here FAST with this bunch! Just an update on my install. I can steadfastly state that the noise level at highway speed is GONE. Well, 90% anyway....it WOULD be 100% if I had the laminated windows. I am very happy with the results. Best 10 minute mod I ever did. Great write up and pics. 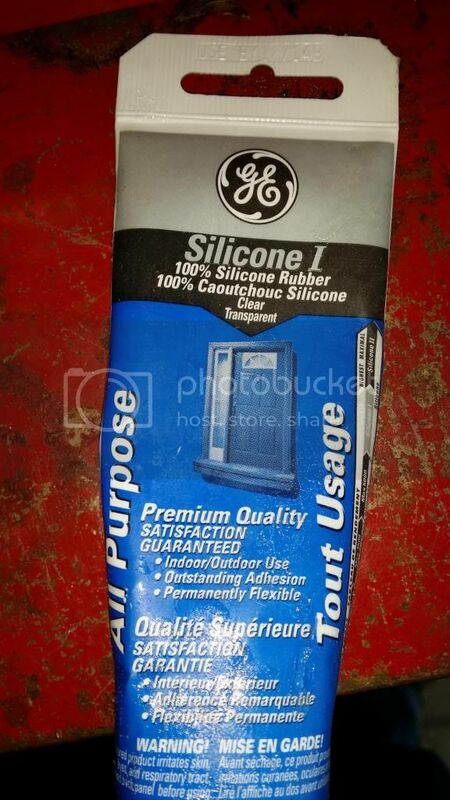 Nice that you even took a pic of the silicone you used. I don't really notice much wind noise but I may do this anyway. Since you filled the holes with silicone, did you remove the tabs from the back of the new piece before installing it? No I left them on. In fact, for good measure, I even applied some silicone to the tabs. How long did it take for Sewells to send you the parts? I've been waiting over a week. Had them ship it regular ground. Yeah......they are definitely not the fastest shippers. It was definitely longer than a week. Can't remember exactly, but about 10 days to Sumas WA (90 mins North of Seattle)..
Congratulations on the successful repair of your “wind noise” problem. And, thank you for the great pictures and details. It is apparent from your quality pictures that the trim was substantially detached and that it was causing a significant noise problem. I think the improvement that you realized from your repair was due to the improved sealing and not related to the “fin” on the new part. I think it is great to use the new part if you like that look. You were wise to leave the clips on the new parts as they are intended to provide registration (perfect alignment) during the application process, but they are not intended for any retention purpose. Putting the adhesive/sealant on the clips probably has little impact either way. Sealing those big gaps is certainly a good idea. 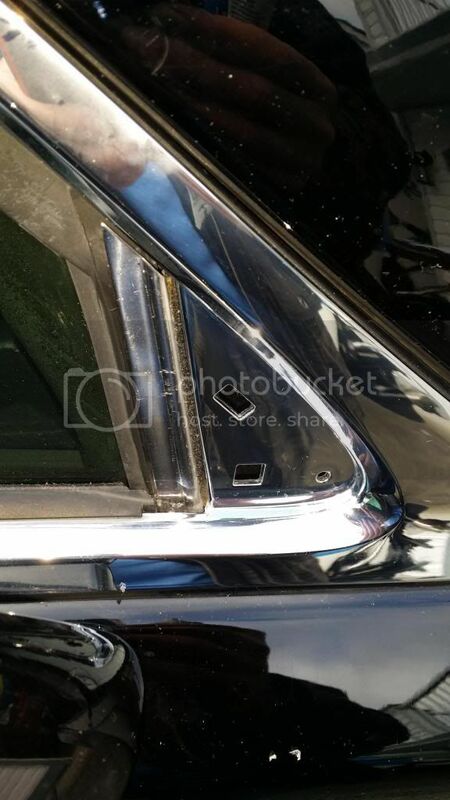 Using the adhesive-gasket that comes on the new part is a good idea, if it works out okay, but you need to keep in mind that that is what caused so much grief for Lexus. I keep explaining this but I am never sure most people understand. When a contact adhesive, like the adhesive-gasket, is used in many cases it is not possible to apply the part without leaving some residual tension/stress because the part contacts the window gasket before the adhesive-gasket contacts its intended mating surface. When this happens the seal is never completed or will rupture over time. Your pictures indicate that that is what happened to your car. 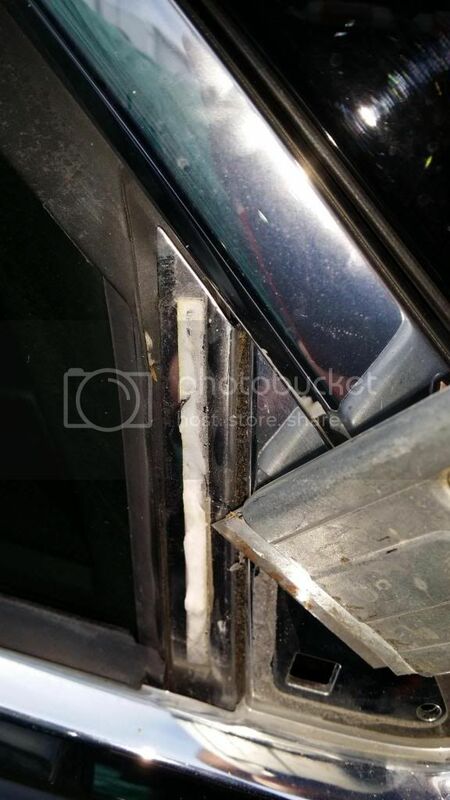 Some of the cars have the window gasket installed in a way that this problem doesn’t occur but your pictures show that your window gasket is one of those problem types. 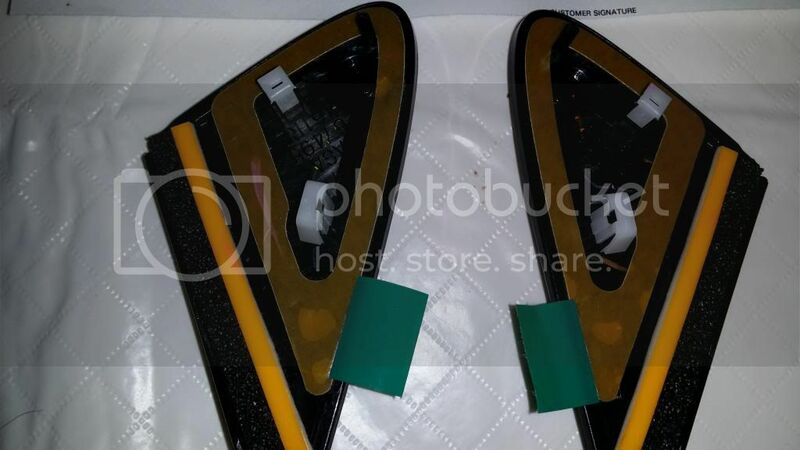 So, if you find that the sealing is not yet perfect or develops a problem later on then you should consider something like the metal plate, tab removal, adhesive gasket removal, two step process and be sure not to use contact adhesive. I still see lots of cars that have not been repaired. 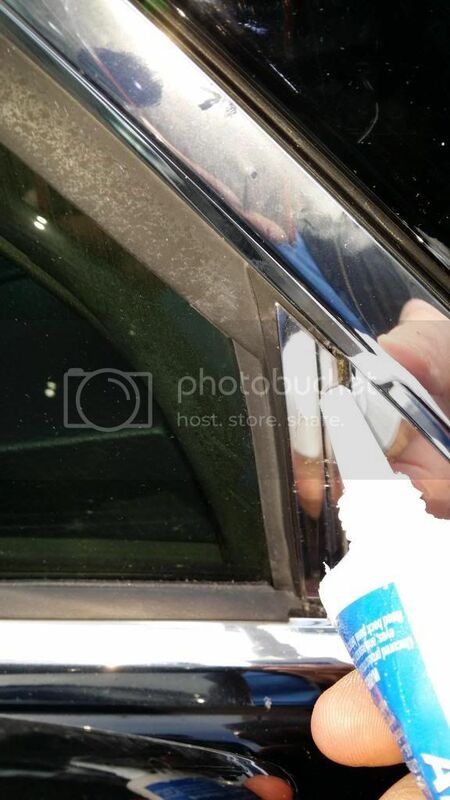 If your car doesn’t have the laminated glass in the front doors then you would realize some improvement from that, now that you have repaired the trim. Many of the original 2007 owners who didn’t have the trim problem, and in spite of not having the laminated glass were very satisfied with their cars. I get the impression that your car is a 2008 LS460. The vast majority of those cars came factory-equipped with the laminated glass so I am a little surprised that yours doesn’t have it. 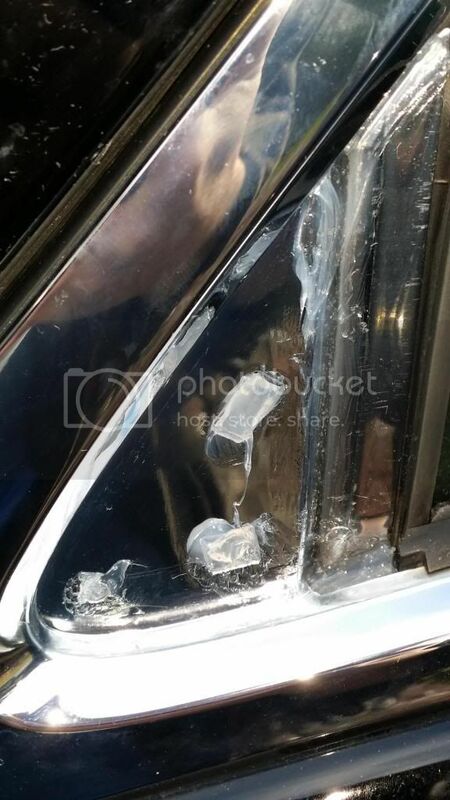 I am sure you have checked that carefully but in case you need to know the VIN break, it is all cars from VIN JTHBL46F985056194 and higher came with the laminated glass and all cars below that VIN break came with regular glass. If yours has the regular glass you might get some sympathy from Lexus for warranty replacement. It doesn’t cost anything to ask and you might be pleasantly surprised. My vin is JTHBL46F085054673 and I believe my prod date was 08/07 (can't check for sure right now). But my side windows say "Temperlite", so I know they're the inferior version. 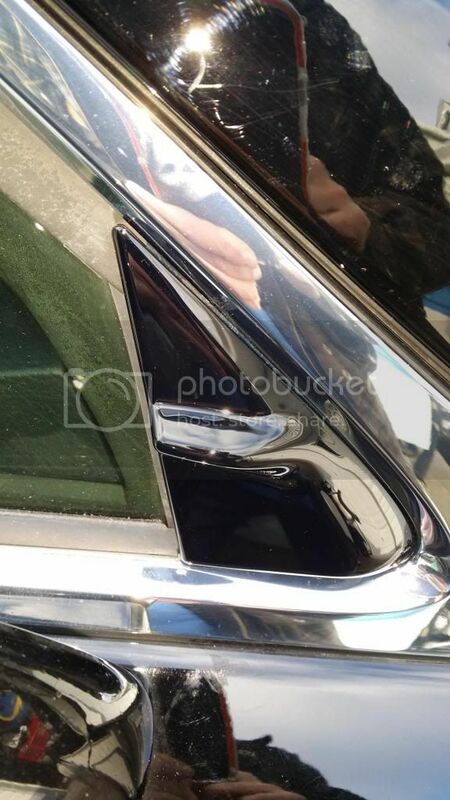 The windscreen however is a Laminated version. Have you had the new trim piece in your hand? It is substantially more stout than the original. It also has a very pronounced curvature and rounded edges that the original did not, which I'm assuming adds to the improved performance. Regardless....I'm happy with the look as well as the improved hushness! As others have noted however, I hear my tires more now! LOL. I have not had any of the new trim in my hand. Thanks to you and others who have posted some very nice pictures I can see that it is different on the outside but it appears to be much the same on the inside and that is where the problem is. There was never a problem with how thick the old trim was. 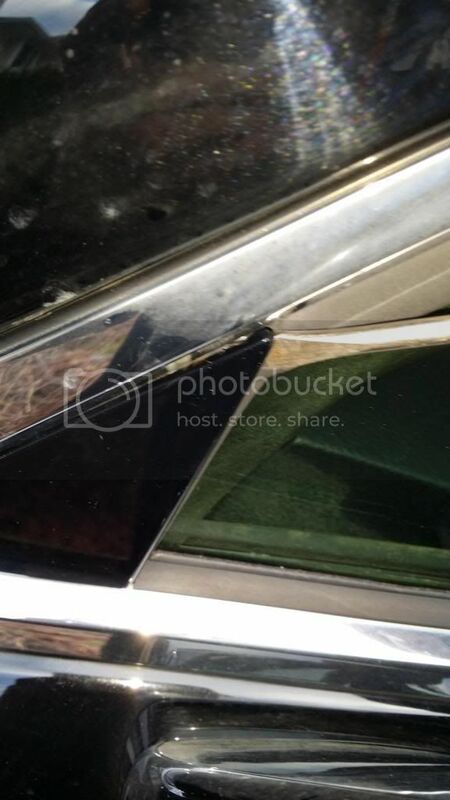 The metal plate was not added for thickness but simply to facilitate a two step repair. 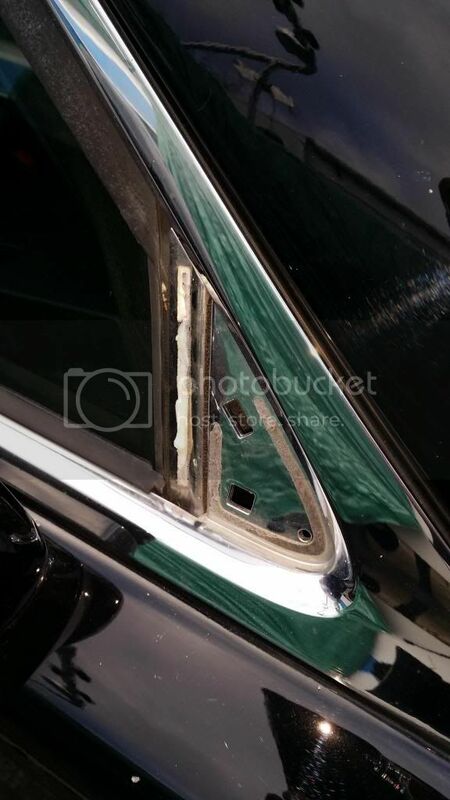 With a two step repair you are able to completely seal the area and then after it sets you can hang the trim on for looks and not depend on the trim to provide any part of the seal. 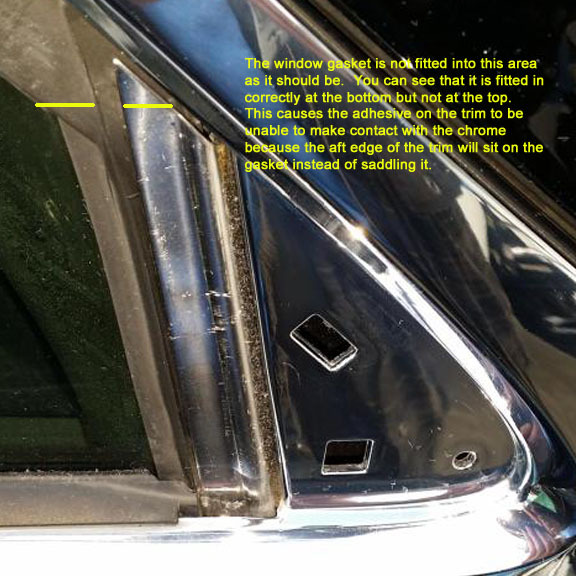 You can see in your picture that the window gasket was not properly fitted at the factory and your tear-off pattern, where your trim was, clearly shows the detachment in the upper rear area. And your new trim is probably attached in much the same way. I want everyone to understand that I am not saying anything to detract from your great accomplishment. You showed 'em!! Lexus would have probably told you that your car was normal.